I’m excited to announce the winner of the Essie Holiday 2012 collection! 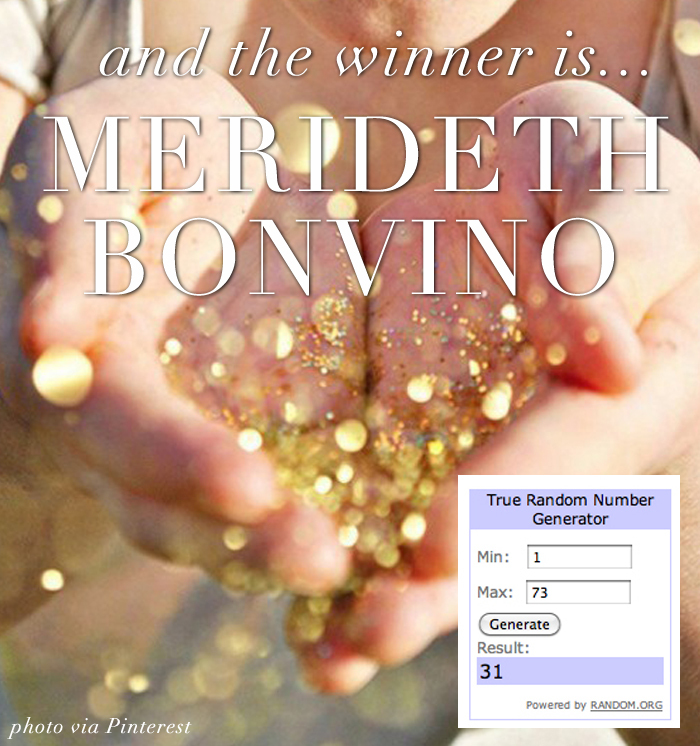 Congrats to Merideth Bonvino on being the lucky lady – she just told me it’s her birthday so it sounds like it’s off to a great start! Stay tuned for another great giveaway on The Style Scribe soon!